CGA Reps | Living the La Vida Mocha! Living the La Vida Mocha! Coffee is, approx. 30-32 billion dollars annual retail industry, that’s a billion with a “B!” It’s the most popular drink in the world after water and tea. Just like wine, coffee beans flavors are affected by the soil altitude and other climatic factors. Specialty coffee is on the rise. 90% of coffee consumed in the US is slow drip, the remaining 10% being specialty coffee meaning with the use of espresso. It is the opposite in Europe, 90% off coffee consumed is specialty coffee, 10% being slow drip. Why is this important? There is extreme room for expansion and it is happening now. If you don’t believe me go to any Starbuck, McDonald, RaceTrac, QuickTrip, Dunkin’ Donuts….etc. High Schools are beginning to have these available to the students; they realize there is a market there as the demographic is from 12-45. There’s also a nutritional value, in a 12 oz latte, 9 oz of that are dairy, another source of calcium. 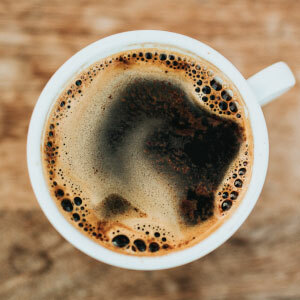 Many people are surprised to hear this but there is actually less caffeine in a shot of espresso than an 8 oz cup of coffee…..let me say that again, less caffeine in a shot of espresso than a regular cup of coffee. The reason being; espresso beans are ground extremely fine like powder and the extraction period is rapid, 15-20 seconds. With traditional slow drip coffee, the grounds are coarse and have more surface area, and that extraction time is around 3 minutes. ROI – Return On Investment – besides a mocha, latte’ or cappuccino, this is probably the best part of super automatic espresso machines by Franke. The return on your investment, the breakeven point where you begin making money, is very fast! Most cases less than a year…..I can’t think of anything that has that kind of return. Why is it so quick? I’ll put it this way, the 12 oz latte you buy typically has an average cost of 75cent, operator cost. Then you sell for S4.00….I’ll let you do the math. If you are interested in this arena, Franke specialty coffee systems has the right machine for your application.